– Nicole, why have you decided to become a competitor? I decided to become a competitor because I love the way that you can change and grow your physique and mentality! This sport definitely pushes you to the limits. – What are the first steps every bikini competitor should take? I think every bikini competitor needs a positive can-do attitude. Mentality places a large part in a competition, and you must prepare your mind for the weeks of work you will be putting in. – What was the most impressive about your first bikini competition? How quickly it all went by! I prepped for about 16 weeks for my first show. The day came and went in the blink of an eye! So be sure you take all the pictures and just enjoy your time! – What is the best way to find a coach you can trust? 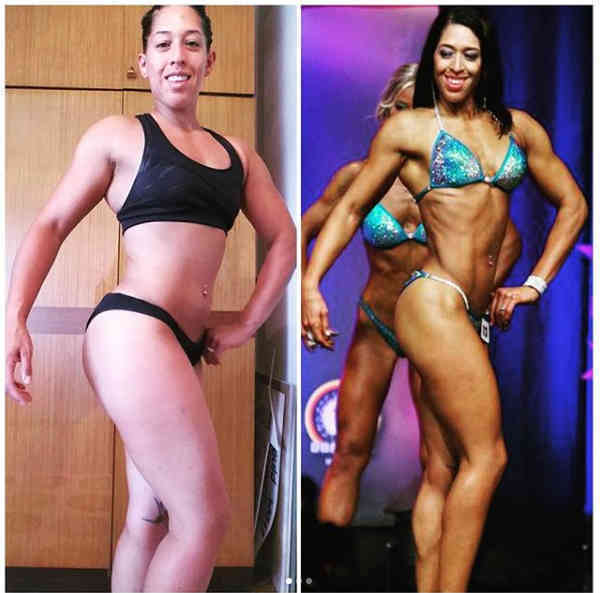 Do you need a coach to become a bikini competitor? I think having a coach can be beneficial for an outside view. Personally, I coach myself, but I have a great support system that I can turn to and ask questions if I need help. If you have never done a competition or studied the body, I would highly recommend finding a prep coach that fits your personality and work style. You want someone educated and responsive! – What are your fitness challenges right now and how do you plan to cope with them? Right now, my biggest challenge is my diet. I actually live in Italy so being surrounded with food and wine with friends that want to go out and travel can be difficult. I normally bring my own meals, or I eat prior to going out. If a situation arises I order what will suit my diet best! – What tanning, nutritious and other products would you recommend to bikini competitors? For tanning, I would highly recommend ProTan! I have used their DIY products as well as the booths at the shows. The DIY is much easier than you think! When you start prep, you want your diet to be 100% on point before you start supplementing. I usually go for a multi-vitamin, BCAAs & glutamine for soreness, glucosamine for my joints and some probiotics! I love staying with the basics and supplementing as I progress in my prep. – What makes you stay motivated? The itty bitty bikini because I am a pretty modest person. Stepping on stage gives me that extra little pump because I know I have a deadline and something to work towards! I also love feeling my best! I know if I have a bad day I can go to the gym, put my headphones in and go to work, I don’t have to worry about anything else but me! 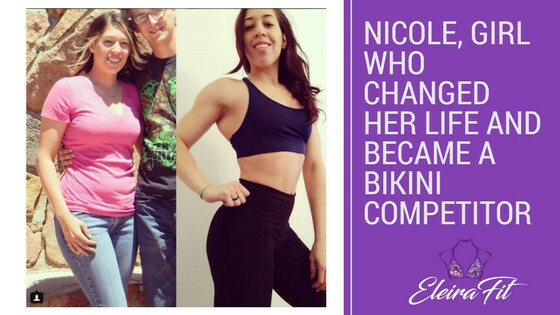 From Nicole’s example, we have seen that everything is possible. If you put one hundred percent of your being into a certain goal, you can achieve it. No one said it will be easy. Imagine you had to give up all delicious food that Italy has to offer? But in the end, it definitely pays off. Well done Nicole! Waiting impatiently to seeing you on stage in EleiraFit gorgeous competition bikini! What to read more stories from bikini competitors, get our deals and stay updated with the latest designs? Sign-up for our newsletter!